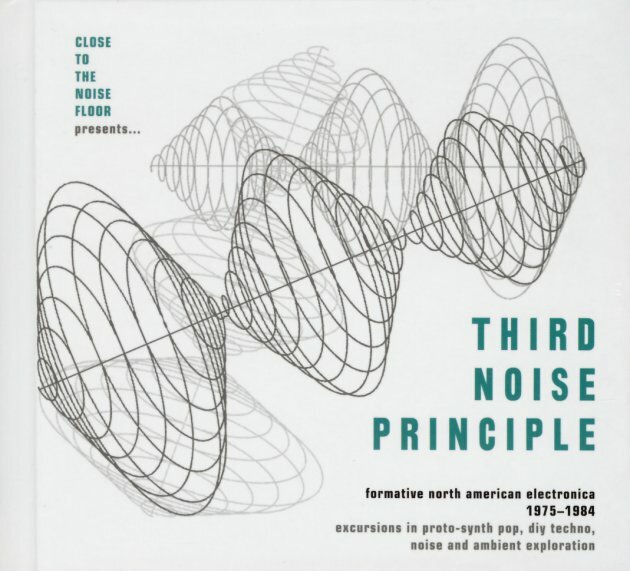 A fantastic entry in the Close To The Noise Floor series – one that looks at early American experiments with electronics – but from the DIY generation that was unlocking access to technology that had previously been in the hands of bigger label artists and the academic electronic scene! The work here is a great partner to UK changes in the punk years and beyond – and, no surprise, some of these artists gained greater fame overseas, where their sounds resonated strongly with music from Sheffield, Manchester, Berlin, and other cities on the continent. And if you think you can guess what's coming, then guess again – because there's so much material here, the 4CD set really goes into some deeper, darker corners – and also pulls together work from different areas of the underground that most folks wouldn't normally connect. So while there's familiar names from labels like Ralph or RRR, there's also a lot more surprises – amidst selections by Richard Bone, Data Bank A, Tone Set, Psyche, Patrick Cowley, Mental Anguish, Controlled Bleeding, Psyclones, Lon C Diehl, Suicide, Residents, Chrome, If Bwana, Terry Riley, Geoffrey Landers, Futurisk, Dark Day, K Leimer, Hunting Lodge, Boy Dirt Car, Smersh, Steve Roach, John Bender, Ministry, Move, Nash The Slash, Tuxedomoon, and many others. Comes with a great book-styled package – pages and pages of notes on the music, with lots of images and record covers too! © 1996-2019, Dusty Groove, Inc.